One of the major novelists in world literature over the last five decades, Mario Vargas Llosa (b. 1936) is also one of Latin America's most engaging public intellectuals, a critic of art and culture, and a playwright of distinction. 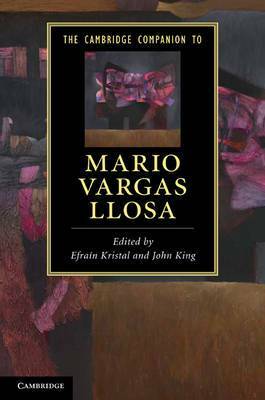 This Companion's chapters chart the development of Vargas Llosa's writings from his rise to prominence in the early 1960s to the award of the Nobel Prize for Literature in 2010. The volume traces the development of his literary trajectory and the ways in which he has re-invented himself as a writer. His vast output of narrative fiction is the main focus, but the connections between his concerns as a creative writer and his rich career as a cultural and political figure are also teased out in this engaging, informative book.